Get the best deals of the year on our leftover Chrysler, Dodge, Jeep and RAM models. Find the best leftover deals in Glen Mills, Pennsylvania on left-over inventory. Hurry, once they’re gone, they’re gone! 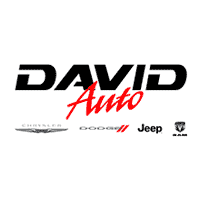 For more information about the test drive process at David Dodge Chrysler Jeep Ram in Glen Mills, Pennsylvania, contact our team by sending a message or calling (484) 840-3725.